A bus service connects the airport with towns on the island and taxis are available in the area. Bicycles are available for hire from the airport. 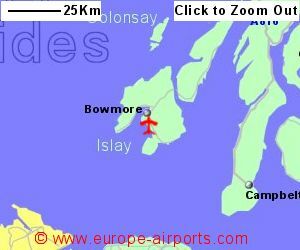 Islay airport has a licenced cafe/bar serving home style cooking and local malt wiskeys. 29,000 passengers were catered for by Islay airport in 2015, an increase of 6% compared to the previous year. 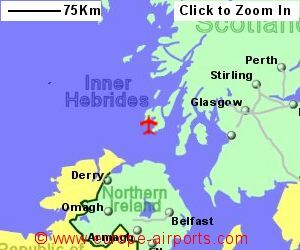 Sorry but we do not have any details of flights from Islay Airport to the rest of Europe.